Dr. Montana V. Ho, P.T., D.P.T, D.O.M. 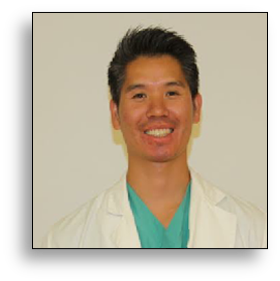 Dr. Montana Ho received his doctor degree in Physical Therapy, with honors, from University of St. Augustine for Health Sciences. He also graduated at the top of his class from the Florida College of Integrative Medicine and is recognized as a Doctor of Oriental Medicine. Dr. Ho developed his passion for the human body at a very young age where he learned from his mother a myriad of herbal remedies to treat different health ailments. His strong interest in the holistic approach to health and wellness has led him to pursue his vision to integrate physical therapy and acupuncture. Dr. Montana Ho’s main philosophy of treatment is to use specialized hands-on manual techniques and acupuncture to treat the root cause of many orthopedic conditions. His mission is to offer hope to those who are seeking natural treatments to restore their health.